Happy Monday! I figured since we are all heading back to work after the weekend, I would toss in a beauty review for you. I really love beauty products, I have always been a collector of them (especially lip products!) But now I am into skincare!!! They are taking over my bathroom. This one is sponsored by BrandBacker. 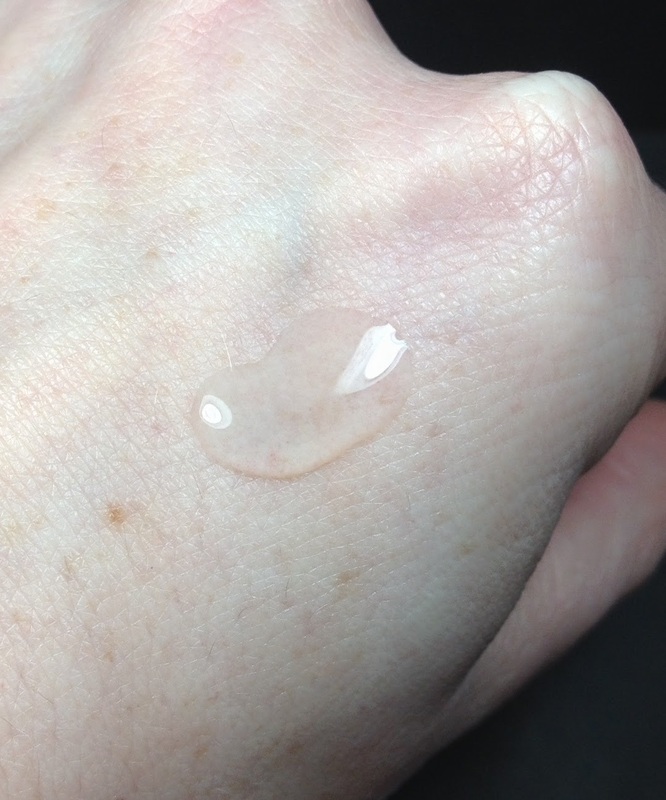 I was offered a chance to try a face serum. 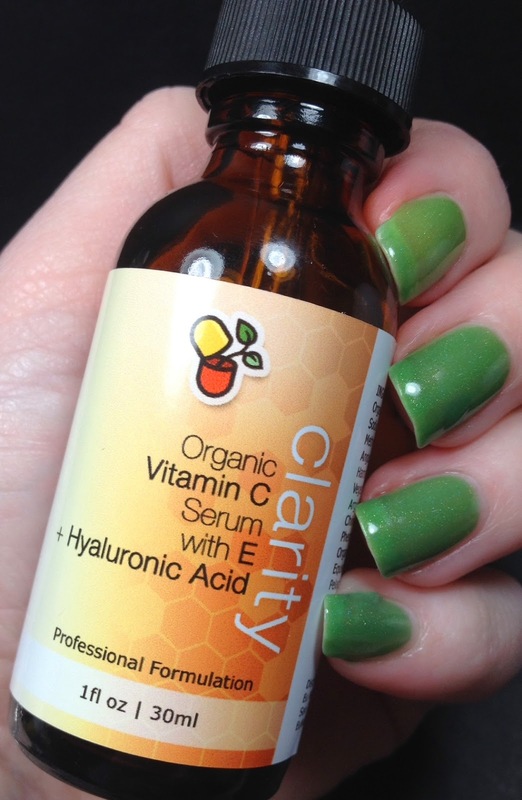 This is the Clarity Vitamin C Serum for face. 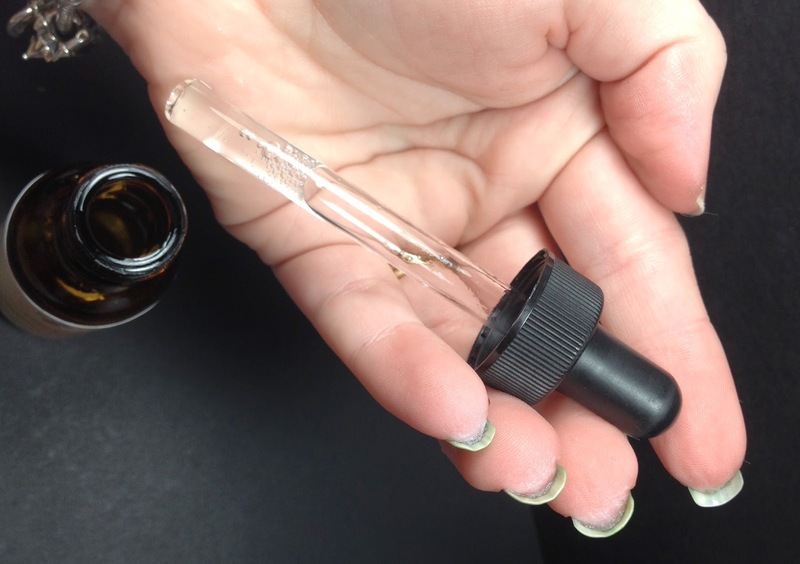 This serum is a clear liquid that comes in a glass bottle with a dropper for use. The instructions say to use about 6 or so drops on this on your clean face. It can also be used under your regular moisturizer. Formulated to Smooth the Skin, Reduce Fine Lines and Wrinkles, and Treat Dark Spots. Potent Antioxidant Blend Featuring Organic Vitamin C, Vitamin E, Hyaluronic Acid, and Herbal Extracts. Stimulate Collagen Production for Radiant and Youthful Looking Skin. Try Clarity risk-free! Backed by our 100% Money Back Guarantee! Made in the USA to Strict FDA Standards by cGMP Certified Laboratory Without Parabens or Alcohol. Application was easy, although the first time I used it I moved my hand and the drops I had put there had leaked everywhere. I just had to keep the bottle somewhere where I could put the dropper back in, then apply the serum and then screw the dropper back on. The serum isn't thick so you have to be careful. I just rubbed my hands together and then all over my face. It was lightweight, almost no scent and it absorbed in almost immediately. I don't know if it is because my face is better hydrated now, but when I first started using it (about a week or so ago) my face literally just absorbed this right in and was dry. Now it takes a smudge bit longer so I think my face is now just better hydrated. I felt like in one week of use my skin feels better and that some of my fine lines aren't as noticeable. I think that with continued use the rest of my wrinkles will look better. Nothing is going to happen over night, or in one weekin general. More good news? It's available on Amazon and it eligible for Prime! (I love Prime, even with the price increase it's a great deal for me!) Right now it's $39.99 on Amazon, but with the code EUN15OFF, you can get 15% off!! All things considered, this isn't my holy grail products but it is good. It's not knock your socks off wonderful but it is working very well on my skin. I would consider repurchasing this as long as I had a sale code. Do you have a favorite face serum? Or other favorite face product? I am always in the market for one!